Will the Chinese Courts Allow Another Mentally Ill Individual be Executed? 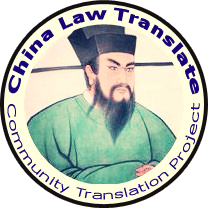 | China Law & Policy China Law & Policy » Will the Chinese Courts Allow Another Mentally Ill Individual be Executed? Will the Chinese Courts Allow Another Mentally Ill Individual be Executed? Akmal Shaikh’s story is not unique. Everyday criminal justice systems across the world deal with the mentally ill, often in disastrous ways and with dire consequences; the United States alone has executed over 100 mentally ill people since it reinstated the death penalty in 1977. But what makes Mr. Shaikh’s story unusual is that this mentally ill British citizen is now sitting on death row in China, with a potential execution only days away. For the vast majority of his fifty-three years, Mr. Shaikh led a rather ordinary life, the kind of life that happily goes unnoticed by the world-at-large. Running a thriving mini-cab business, Mr. Shaikh was the modicum of middle-class London success, living with his wife and five kids in Kentish Town. 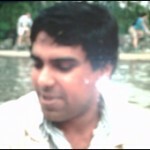 But by the end of 2003, things began to rapidly change and Mr. Shaikh’s peaceful existence would be no more. In 2004, Mr. Shaikh left his family and moved to Poland with the goal of starting his own airline business although he lacked both financial capital and any knowledge of the business. Not surprisingly, left untreated, his mental state continued to deteriorate. Mr. Shaikh sent over 100 bizarre emails to the British Embassy in Warsaw, Scotland Yard, and even Paul McCartney, often making little to no sense. 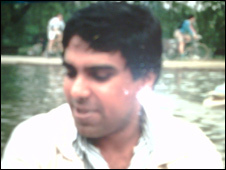 However it was in Poland, away from his family, that Mr. Shaikh’s mental illness was preyed upon by a group of international drug dealers that would ultimately trick him into carrying drugs into China, a country that makes the United States’ zero tolerance to drugs look like a joke. Promising him a successful music career in China, Mr. Shaikh, who now wanted to become a Chinese pop star although unable to speak any Chinese, was told to fly to the Chinese northwest city of Urumqi with one of the drug dealer’s suitcases. On September 12, 2007, at the Urumqi airport, Mr. Shaikh was arrested by the police for transporting four kilograms of heroin into China, a charge that is death penalty eligible in China and usually gets it. On October 29, 2008, Mr. Shaikh was found guilty and sentenced to death by the Urumqi Intermediate People’s Court. On October 13, 2009, his first appeal, or what is known in China as a “trial in the second instance,” was rejected and his death sentence affirmed. Mr. Shaikh’s case is now in the hands of the highest court in China, the Supreme People’s Court (SPC). If they too affirm his death sentence, he will be executed in a matter of days. But will the SPC take into account, as required under Chinese law, Mr. Shaikh’s mental illness? Will the SPC see this case as an opportunity to finally establish procedures to determine a defendant’s mental illness, something the Chinese people have desperately been calling for? There is no doubt that Mr. Shaikh trafficked drugs into China. Under Article 347 of the Chinese Criminal Law, trafficking more than 50 grams of heroin into China is subject to a prison term of 15 years, a life sentence, or the death penalty; here Mr. Shaikh brought in over 80 times that minimum amount – four kilograms of heroin. China, like the United States, takes a harsh stance against drugs and often gives the maximum sentence of death for drug trafficking, and here, given the amount trafficked, Mr. Shaikh’s death sentence is far from surprising. And even though Mr. Shaikh’s crime would not be death eligible in his home country of the United Kingdom, by committing the crime in China, he is subject to Chinese law and his foreign citizenship in no way excuses him from punishment. But Chinese law takes into account mental illness when determining a defendant’s culpability. Article 18 of the Criminal Law eliminates all criminal culpability for those defendants who suffer from severe mental illness. For defendants whose mental illness is intermittent or less than severe, Article 18 allows the court to consider such factors in sentencing, permitting the court to give a lighter punishment than ordinarily required. Normatively, the Chinese criminal law, at least in terms of the mentally ill, is not too different from the criminal laws of the United States or the United Kingdom – all of these countries seek to protect the vulnerable class of the mentally ill from the harshness of the criminal law. But where China differs is in its ability to implement these normative values, and Mr. Shaikh’s case is a prime example of this disconnect between the goals of the Chinese Criminal Law and its actual practice, an example that is becoming all too common in today’s China. It was not until Mr. Shaikh’s appeal, the trial in the second instance, that the issue of his mental illness was raised by his attorneys. And although the appellate judges laughed openly in court at Mr. Shaikh’s bizarre behavior in the courtroom, they found that Mr. Shaikh was not mentally ill. The court based its judgment solely on Mr. Shaikh’s personal testimony that he does not suffer from mental illness and the fact that his family lacked a history of any mental disease. There was no psychiatric examination of Mr. Shaikh or testimony from mental health experts regarding his mental state. Instead, the judges merely relied upon their own observation and the testimony from an apparently mentally ill individual that he is completely sane. Mr. Shaikh’s case is not an example of the Chinese court subverting proper procedure. Instead, Mr. Shaikh’s case is reflective of the fact that there is little to no procedures in place to actually determine the mental health of a defendant. And this is not the first time that the issue of mental health, and the inability of the justice system to implement procedures to protect the mentally ill, has come up. In fact, in the past three years, two Chinese citizens, Yang Jia (pronounced Yang Gee-ah) and Qiu Xinghua (pronounced Chiu Sing-hua), have both been executed even though questions of their mental health was openly debated by the Chinese legal community as well as by the Chinese public. Calls from the Chinese people to protect these apparently mentally ill individuals went unheeded by the justice system. Instead, the courts have maintained a system that offers little opportunity to question the mental health of the defendant. Neither the Criminal Law nor the Criminal Procedure Law offer any instruction on how mental health determinations should be made. And other guidelines, namely the “Provisional Regulations on Psychiatric Evaluation of Mental Illness” and the “Procedural Rules on Forensic Analysis,” offer little else. As a result, pre-trial psychiatric examinations are not mandated, and instead are left in the hands of the police, the prosecutors or the court to initiate. As seen in the case of Mr. Shaikh, this often does not happen. The party that has the most interest in conducting a psychiatric exam – namely the defense – is not permitted to initiate such an examination under Chinese law; all the defense can ask for is a re-evaluation only after the prosecution conducts one. The re-evaluation would still be conducted by experts of the state’s choosing (See Zhiyuan Guo, “Approaching Visible Justice: Procedural Safeguards for Mental Examinations in China’s Capital Cases,” 32 Hastings Int’l and Comp. Law Review, forthcoming). As a result, too many mentally ill individuals, both Chinese and now a foreigner, are denied the justice and protection they are entitled to under Chinese law. 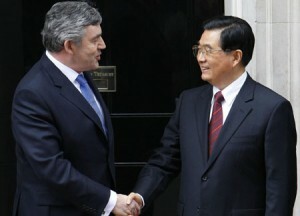 has become involved, with Prime Minister Gordon Brown discussing Mr. Shaikh’s fate with Chinese President Hu Jintao this past September during the G20 Summit. But the British government and the international community are not asking the Chinese courts to making an exception for a foreigner or to suspend the application of its laws to a non-Chinese. Instead, they are requesting that the SPC give life to the Chinese Criminal Law’s promise to protect the mentally ill. This is not just a foreign request; the Chinese people themselves have repeatedly called upon the courts to offer these protections. Article 18 of the Criminal Law reflects their sentiment. Furthermore, during both the Yang Jia and Qiu Xinghua trials in 2008 and 2006, respectively, the Chinese people, through online discussion boards and at the courts themselves, ardently protested the lack of protection for the mentally ill. The Chinese people understand the need to give life to the promise of justice for the mentally ill found in the Criminal Law; it is now up to the courts to make that a reality. The true test of a society’s criminal justice system is how well it protects society’s most vulnerable. With Mr. Shaikh’s case, the SPC has the opportunity to establish procedures by which the mentally ill can be protected. By either remanding his case for psychiatric examination or by performing the examination itself, the SPC will not only potentially protect Mr. Shaikh, but also the hundreds of mentally ill Chinese defendants that interact with the Chinese criminal justice system on a daily basis. What decision taken by SPC, if prison term of 15 years, a life sentence, from which date his punishment period will count to complete 15 years. The case is still with the SPC. No decision has been issued and/or made public. As soon as I hear, I will be posting an update. Thank you for your interest.